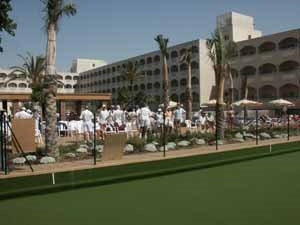 Belplaya BC is located very near the beach area, east of Torremolinos, known as Playamar. Hotels and apartment list that are very close to the Club Just click in and pick your dates. The green, recently completely rebuilt, sits between two impressive hotel complexes – the Belplaya and the Luca Costa Lago. 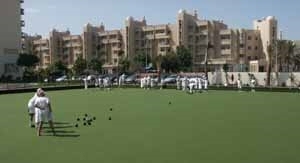 The artificial bowling surface bowls extremely well. The green with Luca Costa Lago hotel in the background. 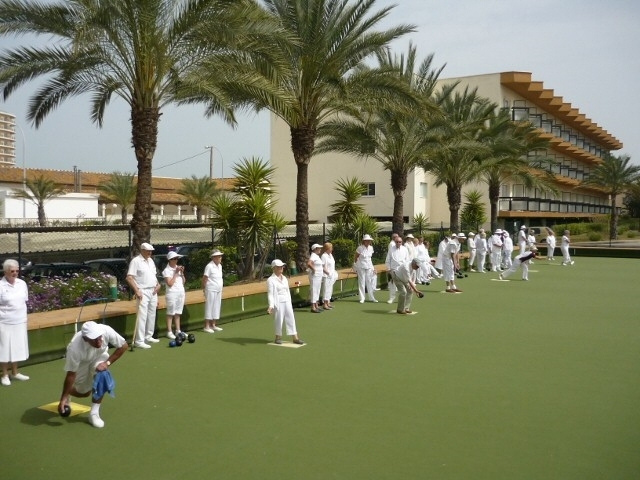 Bowls Club. Pass under the tunnel 1 KM from the A7 and take the last exit from the roundabout, (approaching a Supersol supermarket on your right). Take first exit from the roundabout with tall statue in the centre. Pass straight over roundabout with Burger King on the right, (9 KM from statue roundabout). After 7 KM filter right at the traffic light complex, with La Colina building on the left as you turn. Follow curvy one way road for 3 KM and then pass over roundabout. 0.5 KM from roundabout you will see a hotel with large RIU sign on top. This is Belplaya Hotel and the location of Belplaya BC. 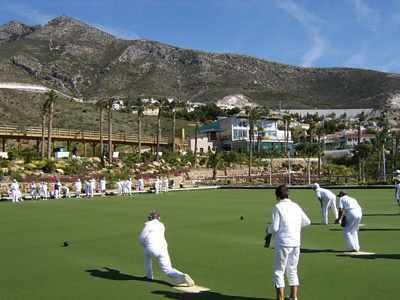 Bowls Club is located very near the beach area, east of Torremolinos, known as Playamar.